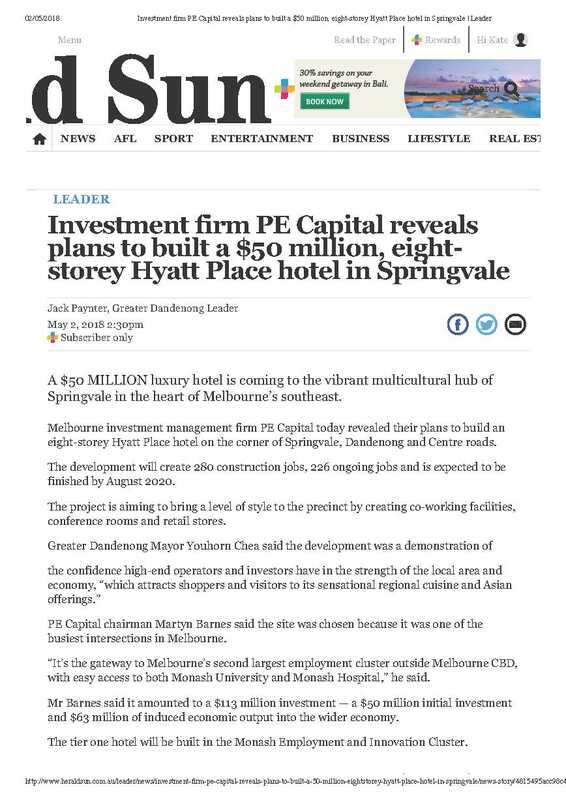 PE Capital's chairman Martyn Barnes in partnership with Hyatt's Hotels David Udell announced on Wednesday, that a Hyatt Place branded hotel will be built in Springvale. The hotel will be $113 million investment, creating 280 construction jobs, 226 ongoing jobs and is expected to be finished in 2020. Hyatt Place Melbourne Springvale will be located at the intersection of Springvale and Dandenong Roads in the heart of the Monash Employment and Innovation Cluster, an area that is home to a number of academic institutions (Monash University), businesses and medical facilities. 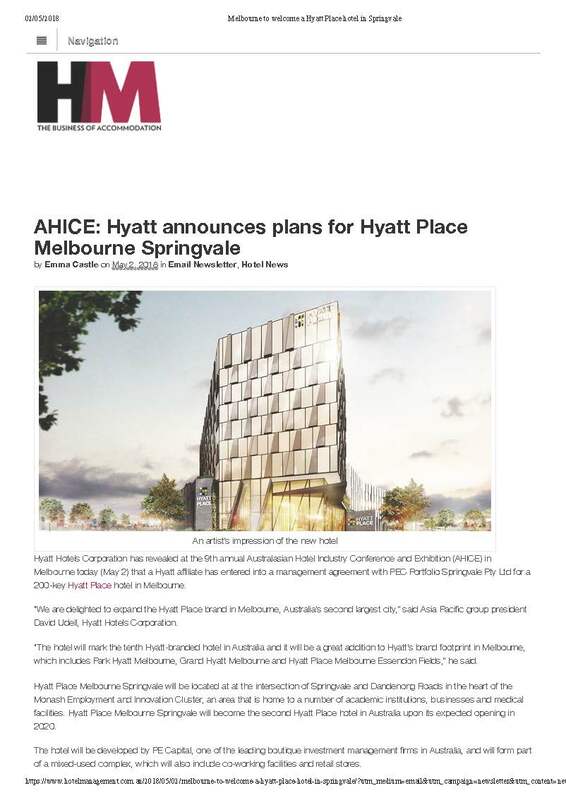 Hyatt Place Melbourne Springvale will become the second Hyatt Place hotel in Australia upon its expected opening in 2020. The hotel being developed by PE Capital will form part of a mixed use complex including co-working facilities and retail stores.